Buffalo, Missouri: “QUWF is addressing the opportunity to control predators like coyotes, raccoons and others with an additional hunting experience as part of a total biological plan for not only landowners but hunters who may lease or hunt on private lands” states Craig Alderman of QUWF. “As the only true multi-specie wildlife habitat organization in the nation we reached out to new partners to provide expertise, information, biological science and of course hunting techniques. 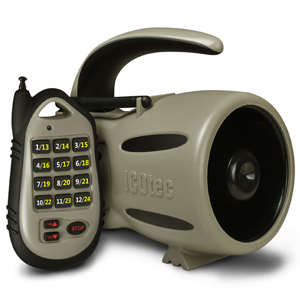 We are very excited to announce ICOtec, not only a long time designer, manufacturer and supplier of electronic predator calls, but an eager wildlife research partner as our newest national corporate sponsor” Craig announces. “This is a super relationship with QUWF, ICOtec gets to assist first hand in predator research from the grass roots level, provide its technological and manufacturing support to new abilities, needs and potentially new calls for the landowner and hunter alike” states Chuck Ames, Marketing Manager of ICOtec. “Our products are time tested, field staff proven and are the right choice to stretch the hunters dollar for high quality products now dedicated to supporting predator control from a habitat and wildlife restoration perspective” Ames says. “ICOtec will be in the field, at their QUWF chapter banquets and events leading the way for another great hunting experience whose calling challenge is as great and heart pounding as anything afield. “Biologically we know there are many factors in wildlife habitat management and therefore population densities. Habitat is not the 100% solution, neither is weather or predator control but they all are very important influences” states Nick Prough, QUWF Chief Wildlife Biologist and Wildlife Partnership Coordinator. “Trying to find the balance once habitat is improved and weather cooperates requires we look and plan for active predator control. 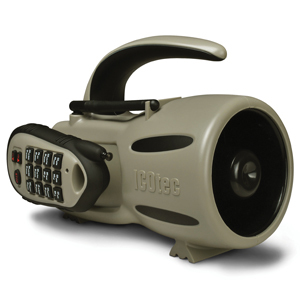 ICOtec provides tremendous tools for us as hunters to use as well as research. 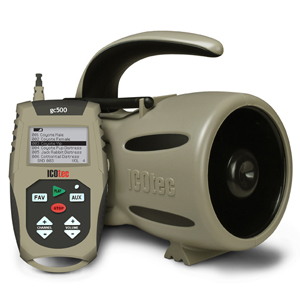 We can easily see new digital wildlife calls coming from this type of research that will be available from ICOtec as a FREE download” Prough says. As of June 2014, QUWF and its local chapters and members have impacted 2.6 million acres of wildlife habitat and it’s chapters spent $138 Million Dollars in their local communities. That is “Turnin-the-Dirt™”. Quail and Upland Wildlife Federation, Inc.™ is the only Veteran Founded tax exempt 501(c)(3) conservation organization, serving its members and chapters nationwide. QUWF provides a strong local source of habitat focus on quail and all upland wildlife with population recovery. Millions of dollars of habitat work have been completed by its members over the years on millions of acres of both private and public lands. That work continues with a renewed vitality. Our chapters from coast to coast, provide the grass roots, local habitat work that is making a difference each and every day. For more information or to join QUWF please visit our website at www.quwf.net.